We recently worked on a super fun collaboration with Dara Artisans. 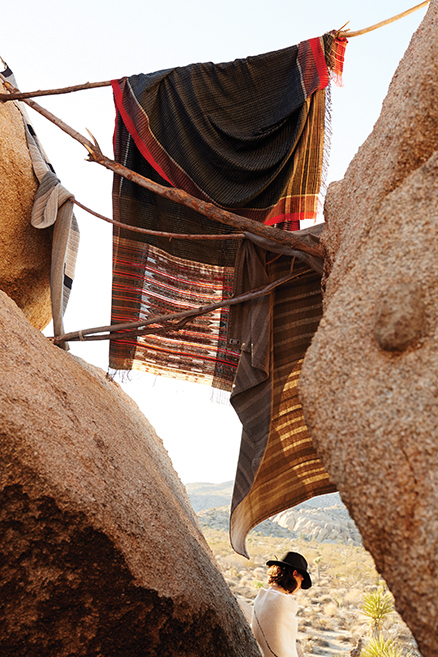 They flew us out to Joshua Tree where we spent a couple days shooting Modern Nomad. It was a dusty hot wild windblown time in the desert. Thank you to our crew. You all worked tirelessly. A bonus to this shoot was being introduced to Dara Artisan artist Andrea Crescioni. I am now completely obsessed with her line of leather necklaces and belts. The only problem being which one to choose. I love them all!! Much of this story was shot at the beautiful cabin of JT Homesteader. Thank you Jay and Stephanie! You saved us and you really came through with that horse!! We heart you. Catch some desert vibes and stay at one of their remote and beautiful cabins. See the full story and shop for all these beautiful pieces and more at Dara Artisans. jim franco ceramics for dara artisans. We have known Jim Franco for many years. 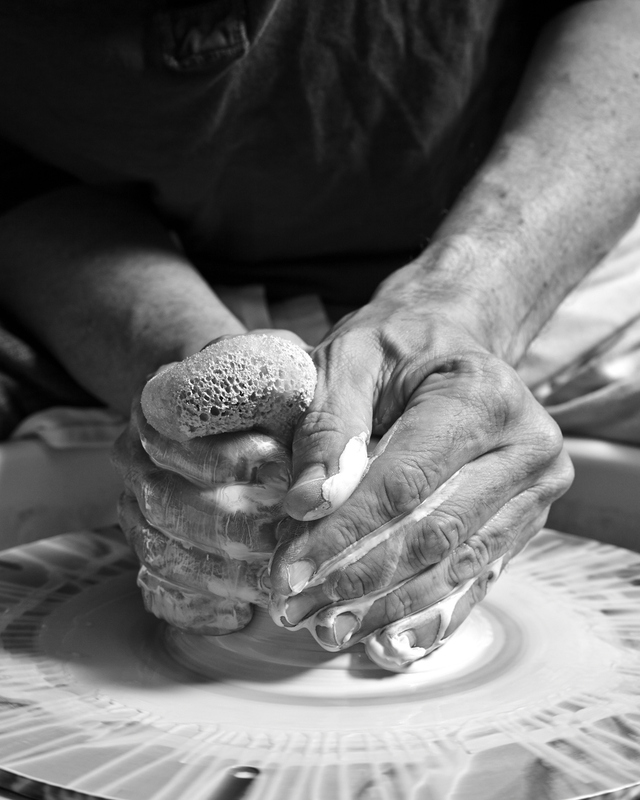 First as a photo editor and then as a photographer and now as an amazing ceramicist. If you live in New York long enough you tend to see creatives move through different fields. As artists, we can never seem to sit still long enough to stay in one sandbox. We are surrounded by so much creativity that it is hard to stick to just one thing. I myself have worn many hats over the years as we tend to do in New York. I admire my peers who have branched out to explore other disciplines. Jim is no exception, though he has only been making ceramics for a short time what he has mastered is quite amazing. He is making mostly bowls at this point, in all sizes, but my favorites are those that fit snuggly into a cupped hand. His glazes are really special, they remind me of muted stormy beach days, the kind of day that is both shimmery and dark at once. The kind of day when the light is soft and a little translucent. 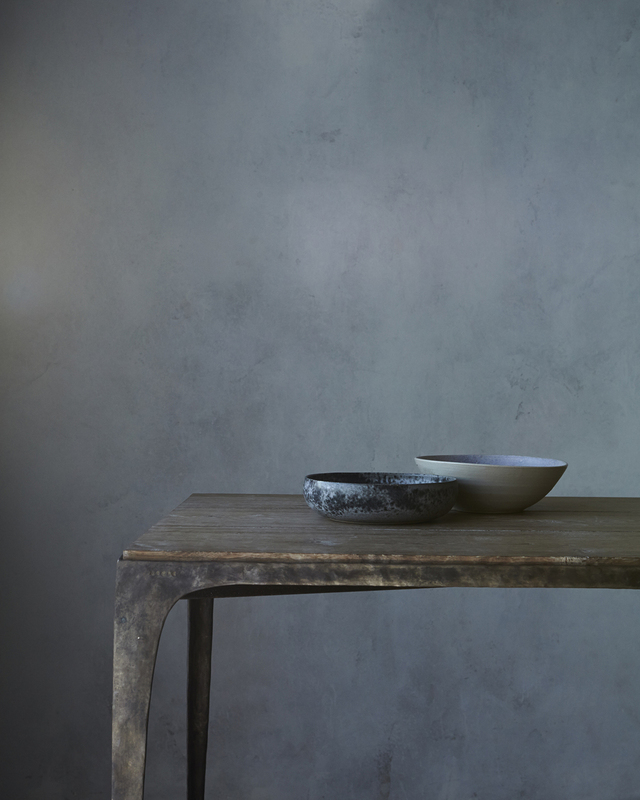 Perhaps it is his photographer self and his appreciation for light and the way it hits objects that makes him such a good ceramicist. We had a super fun day collaborating with Jim on this project. 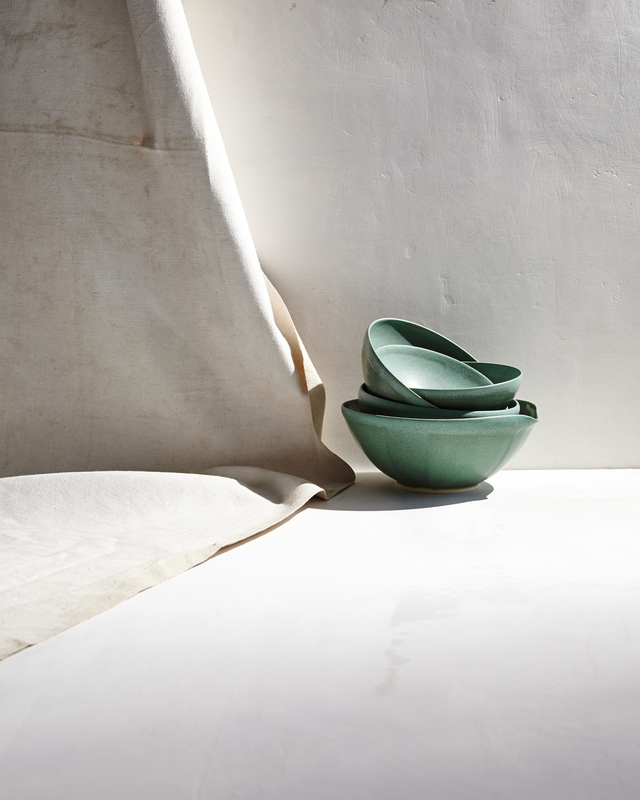 I want to share a few new images from a recent ceramics story we shot for Martha Stewart Living. We worked on this story with our dear friend Ayesha Patel, who is Editorial Style Director at MSL. She has always had the most exquisite taste. This story grew from our mutual love of ceramics. We have had many coffee dates over the past couple years to mull this idea about. It is so nice to see it come to fruition. We have barely scratched the surface here and could do it all again tomorrow with a whole new group of artists. The group photographed here are strictly american. I hope you are as inspired as we were. 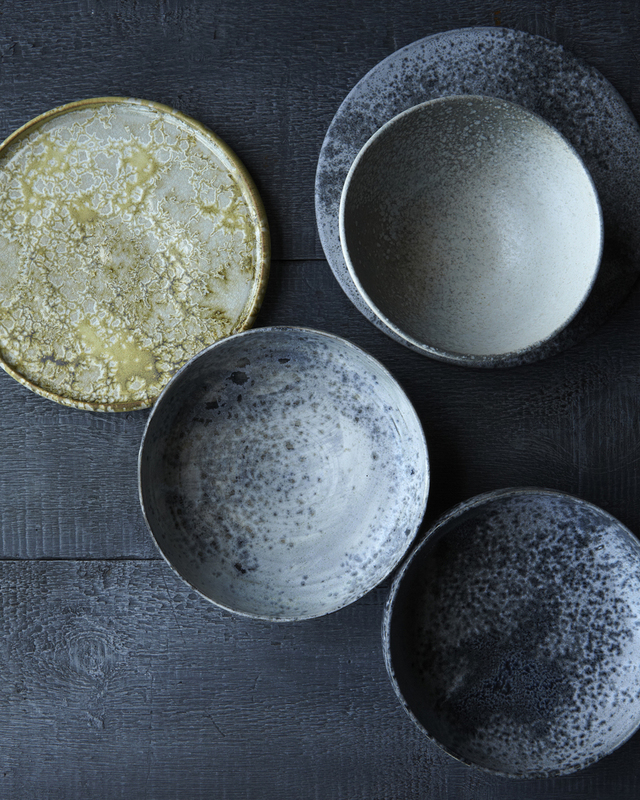 Check out the story in The June issue for a full list of ceramicists and their sites. clam lab. joan platt. elephant ceramics. teresa chang. kelli cain. joan platt. mirena kim. farmhouse pottery. black walnut board and raw honey Westwind orchard. kelli cain. teresa chang. clam lab. It is no secret how much I love the lineUpstate, they have shown up in my last two gift guides. 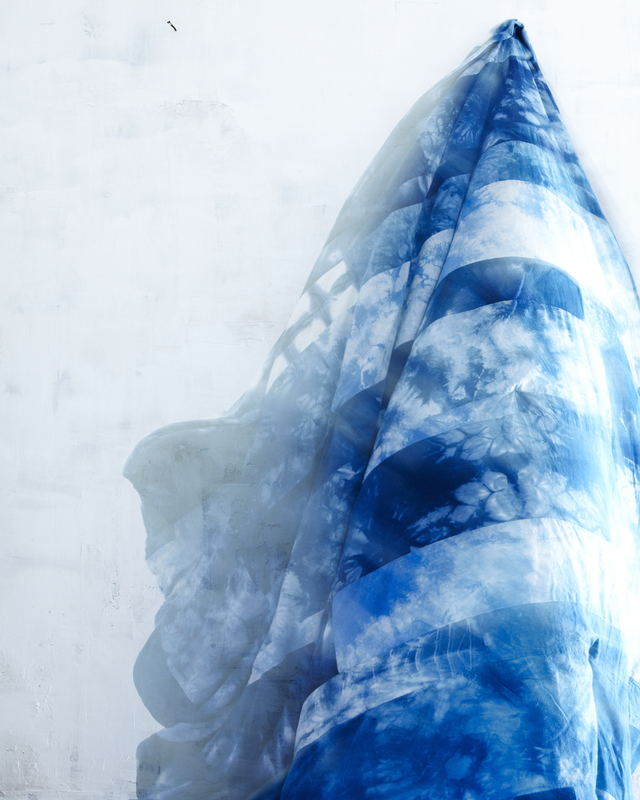 Kalen Kaminski and Astrid Chastka who design the line, are two luminous and inspiring beauties! 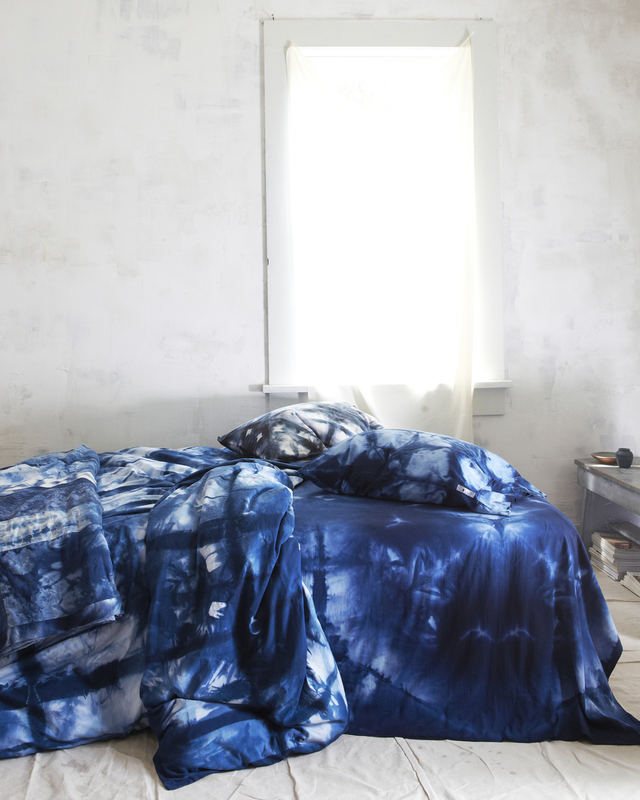 They recently started a home line, a natural extension of their ridiculously gorgeous shibori dyed pieces. 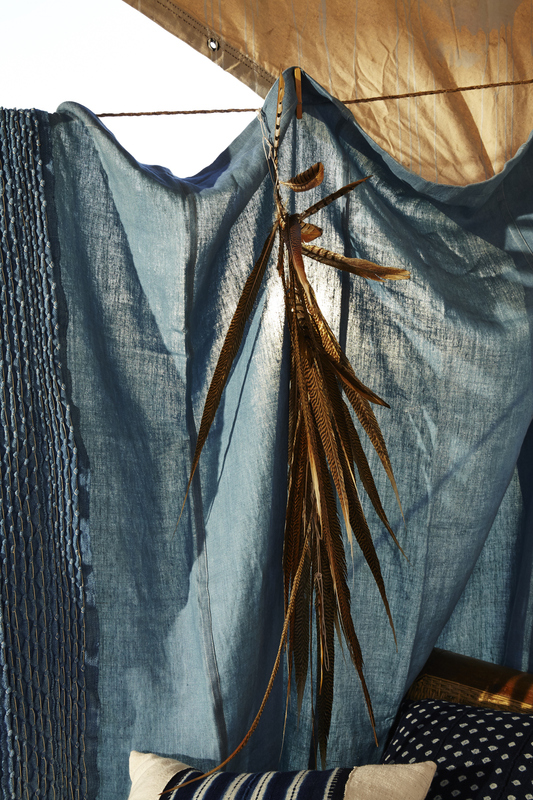 Take a look their complete fall collection photographed by another inspiring duo Paola + Murray . We spent a day shooting some of the new pieces from Upstate's lovely home line at our house (geographically appropriately located) upstate! Btw I am obsessed with their blog. Lush spring and summer produce is currently feeding my pickle obsession. I am dreaming pickles these days. Lately I have been into exploring Japanese pickling techniques. I have been delving into the recipes in Nancy Singlton Hachisu's book Japanese Farmhouse Food. Below are a few images from the current issue of Kinfolk Magazine. Ceramics by the insanely talented Jessica Niello.